Following over thirty five years experience in law and business, David Tanzer concentrates in international planning for clients located across the USA, and around the globe. Tanzer provides guidance to individuals and businesses, assisting them in mitigating personal and business risks, allowing for opportunities for domestic and international asset protection, global investment diversification, pre-migration and expat planning, and financial growth. As a former judge and retired commercial litigation attorney, David has seen wealth exchange hands quickly for those that failed to take proper planning steps in advance of threats. "Too often," says Tanzer, "a client will seek strategies to reduce losses only after they are already confronted with a problem. Then, it may be too late, and damage control is all that’s left." Tanzer places emphasis on advance planning steps before a problem materializes. "A key part of successful planning is to take necessary steps before a problem arises." Bringing together domestic and international professionals in the disciplines of law, tax and business is an integral part of the planning process. 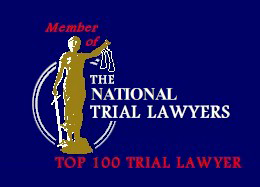 David was named a Top 100 Trial Lawyer by the American National Trial Lawyers Association (NTLA). According to NTLA, “membership is obtained through special invitation and is extended only to those attorneys who exemplify superior qualifications.” Invitation-only membership is composed of the top national trial lawyers in America, and it’s an honor to be recognized for a lifetime of trial achievements. Ironically, today, David’s practice is mostly limited to international planning designed to help mitigate against litigation risks. Amongst other planning objectives, this includes asset protection, global asset diversification, pre-migration planning, and offshore investing, to name but a few. In addition, as a litigation attorney, David won a number of large civil lawsuits and is also a Life Member of the Million Dollar Advocates Forum, Top Trial Lawyers in America, a national trial lawyers group, which recognizes milestone financial awards. Started in 1993, the forum honors trial lawyers ‘whose skill, experience and excellence in Advocacy' have won them verdicts or settlements of $1 million or more. The forum has approximately 3000 members, selected from more than over 1,000,000 attorneys in the United States. David Tanzer is one of only a small number of lawyers qualified as a Life Member of the Million Dollar Advocates Forum, Top Trial Lawyers in America. David has tried complex civil cases, developing special expertise in business and transactional law, commercial litigation, asset protection, wealth preservation, and international transactions. He was also the general legal counsel for a U.S. twenty-seven branch bank. After entering private law practice he became a named partner in the law firm of Bjork, Tanzer & Associates, Ltd. in Chicago, Illinois, and then established the law firm David A. Tanzer & Associates, P.C. in both Chicago and Vail, Colorado, USA. David taught post-graduate intensive international law courses at the esteemed Bond Law School, Queensland, Australia on the laws of international asset protection and international trade transactions. David is a 'Fellow' of the Tim Fischer Centre for Global Trade & Finance founded in 2000 as an interdisciplinary research center and think-tank on global trade and finance. He is also a member of the Offshore Institute, a multidisciplinary international professional organization of individuals engaged in offshore and international planning, and a member of the Wealth Advisory Panel of the Oxford Club, a private, international organization of investors and entrepreneurs. David Tanzer first earned a Bachelor of Science degree in Finance at De Paul University, graduating with High Honors, at Chicago, Illinois. By invitation, he was installed as a member of Delta Mu Delta, a National Honorary Society in Business Administration. He then went on to study law, receiving his Juris Doctorate at IIT-Kent School of Law. Thereafter, David returned part time to DePaul as an Adjunct Professor of Law teaching law and finance. He also served by appointment on the bench in the Circuit Court of Cook County, Illinois as Chairman Judicial Arbitration Panel for five years, one of the world's largest trial dockets. He also holds an Honorary Doctorate of Philosophy. Tanzer is a present or former member of the Colorado Bar Association Judiciary Executive Counsel, the American Bar Association, Chicago Bar Association, Northwest Bar Association, Association of Trial Lawyers of America, and the Continental Divide Bar Association. In addition, he is also an Associate Member of the Auckland District Law Society, New Zealand - Foreign Lawyer, and an Associate Member of the Queensland Law Society, Australia - Foreign Lawyer. The author of the books How to Legally Protect Your Assets and Offshore Living & Investing, and numerous articles on international business and asset protection planning, David Tanzer is a sought after speaker. Today, David now concentrates solely in helping people like you learn the techniques of how to protect and preserve assets, and about offshore living & investing.